By E. F. Benson. Written at the height of the First World War, this British book was primarily designed to be an anti-German propaganda piece, based upon the Kaiser’s alliance with the Ottoman Turkish Empire before and during the Great War. 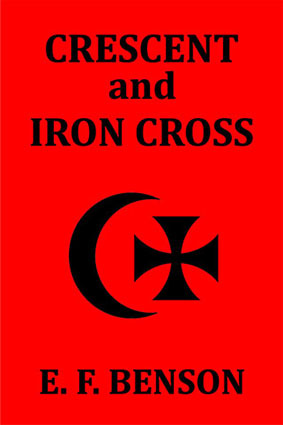 Despite this original intent, the Crescent and Iron Cross objectively answers the burning question of why the German Kaiser decided to ally himself with the Ottoman Turks—an empire which had tried to destroy the Germans, and indeed all the European people, for the previous five hundred years. In addition, this work provides a detailed and valuable account of the Armenian holocaust, in which the Ottoman Turks effectively wiped out those people in what was unquestionably the major crime against humanity of the twentieth century. 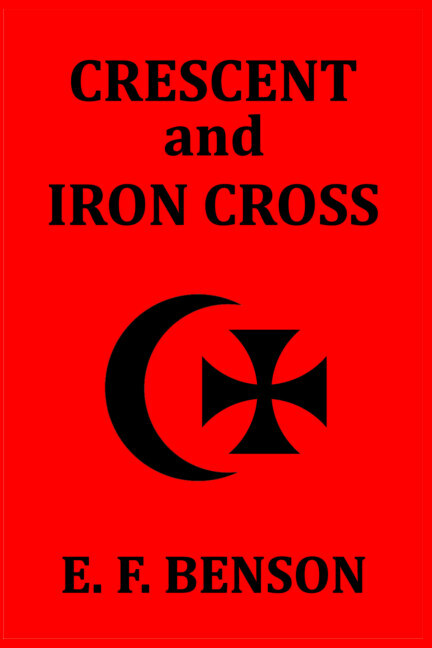 Starting with a brief historical overview of the rise of the Ottoman Turks—and their attacks upon Europe—the book reveals how the inherent nature of the Turkish state, backed by Islamic dictates, drove its cruelty, its oppression of all non-Turks within its borders, its conflicts with the Arabs, and finally, its economic collapse. It was the Kaiser’s desire to colonize Turkey, this book reveals, which initially drove the German investment in Turkey. All of the first roads, railways, and other technological advances which pushed Turkey into the twentieth century were German-provided. The Kaiser also effectively bankrolled the Ottoman state for much of the Great War, and he—along with his advisors—were deeply shocked when the Turks finally refused to agree to be taken over by Germany. This book is unsparing in its criticism of the Kaiser. It shows how he allied himself with Europe’s most long-lasting mortal enemy, and how, despite complaints from Germans in Turkey about the shocking extent of the Armenian massacres, he turned a blind eye to those events. Written in an age before political correctness had stifled journalism, the author also discusses in detail how the Kaiser went out of his way to protect the Jews of the Ottoman Empire, and how the German establishment supported the Zionist colonization of Palestine, then still in its infancy. About the author: Edward Frederic Benson (1867–1940) was an English novelist, biographer, archaeologist, and short story writer. Educated at Cambridge, his literary achievements were rewarded with an honorary fellowship of Magdalene College at that university.